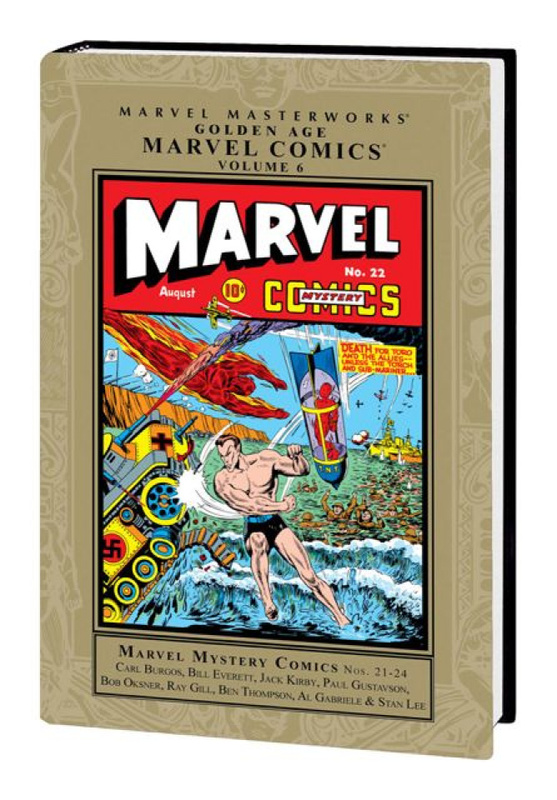 The series that made Marvel the biggest name in comics continues its heralded run in the MARVEL MASTERWORKS! Headlined by the hottest hero of the Golden Age, the Human Torch, and the anti-hero with a temper just as fiery, Prince Namor the Sub-Mariner, MARVEL MYSTERY COMICS presents a collection of stories that defined the medium! Torn from the turbulent headlines of 1941 America, each tale crackles with the tension of a nation on the brink of war - and there's no doubt these heroes were ready to fight! And arriving on the scene to prove it is Jeffrey Mace, a.k.a. the Patriot, making his MARVEL MYSTERY debut! Of course, each 64-page issue is also jam-packed with the adventures of Ka-Zar, protecting his jungle domain from Nazi invaders; school-boy sleuth Terry Vance and his monkey compatriot, Dr. Watson, solving mind-boggling mysteries; other-dimensional hero the Vision, fighting the weirdest menaces imaginable; and the gritty Angel, battling evil from gangsters to ghosts! Collecting MARVEL MYSTERY COMICS #21-24.